The business centre of choice in Sandton, The Business Exchange, provides customised and flexible office space solutions, with a range of support and administrative services, to companies wishing to develop their operations in South Africa or further into Africa. This first-class business centre, with a choice of decorated, private furnished offices or exclusive shared workstations, offers companies the opportunity to represent their businesses from a prestigious location in beautiful, upmarket offices. Companies, who are focused on minimising their capital commitments, will be pleasantly surprised at the value for money that the business centre offers, whilst still providing them with a professional environment in which to operate – in order to achieve competitive growth. Tenants of the business centre gain an additional and exclusive benefit, not easily found elsewhere. The Business Exchange allows its tenants to leverage off their extensive business network and group of high net worth investors in order to overcome daily business challenges. As many business owners will know, access to a network such as this is of extreme value. The Business centre has a number of office layout options to accommodate sole proprietors, as well as larger companies. 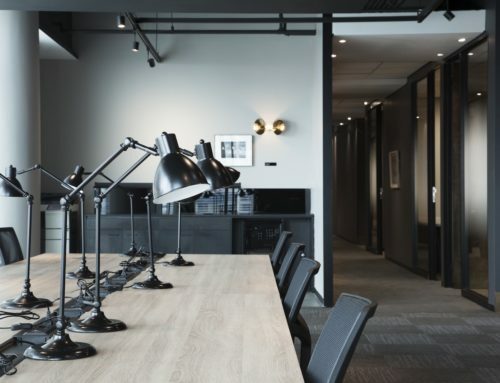 The Business Exchange has also recently released their Executive Suites which can each accommodate teams of up to 32 people in spacious, well-lit environments. Tenants have access to an on-site restaurant and café, for well-deserved breaks and from where they can also work, thanks to the high speed WiFi connectivity. Contact the business centre for more information on their various office layouts and flexible rental terms.